Not everyone is happy with the new look of Windows 8. 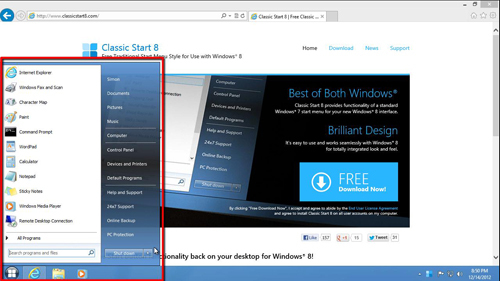 This tutorial will show you how to make windows 8 look like windows 7 by reintroducing a start menu to the desktop view. 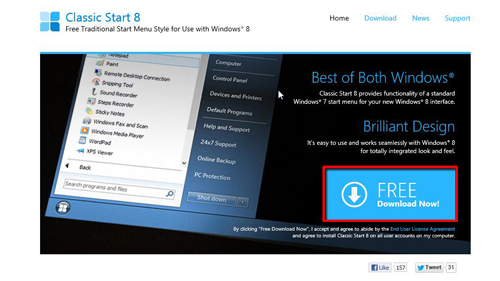 First of all you need to download the program that will bring back your start menu. Visit the URL “www.classicstart8.com” and click on the large download button on the page. Click “Run” in the bar that appears at the bottom of the page and wait for the program to download. Once downloaded a security warning will appear, click “Yes”. The setup program will begin to run, click “Next”, accept the license terms and click “Next” again. The installation will complete and when it does click the “Finish” button. 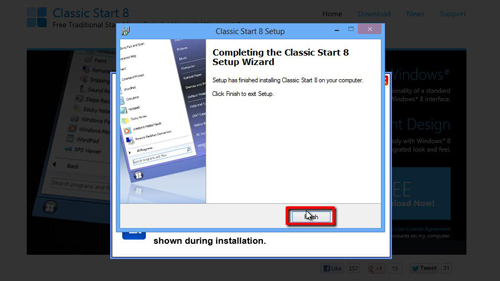 You will be asked whether you want to add the “Classic Start 8 toolbar” to your taskbar, click “Yes”. The new start menu will be added to the taskbar and you can use it just as you would the one from Windows 7. This simple addition is one of the easiest ways for learning how to make windows 8 look like windows 7.